Kai Reus who won the Junior Tour of Ireland in 2003, and then went on to win the World Championships later that year has signed for the Belgian team Verandas Willems. Reus looked set to have a really promising career, as he went on to win the U23 Liège-Bastogne-Liège and Tour of Normandy amongst other races. However, in 2007, he crashed on the Col d’Iseran and fell into a coma. He returned to racing the following year, but was subsequently diagnosed with mononucleosis and took a break from racing. He returned in 2011 with Cycling Team De Rijke, winning a stage of Mi-Août en Bretagne. He was signed by United Healthcare for 2012, winning a stage of the Volta a Portugal that year. 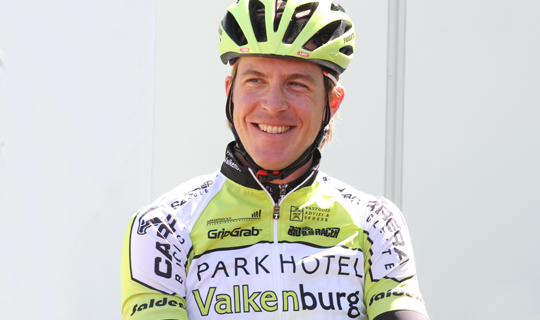 In 2014, he raced for the Dutch Parkhotel Valkenburg team, who took part in this year’s An Post Rás.